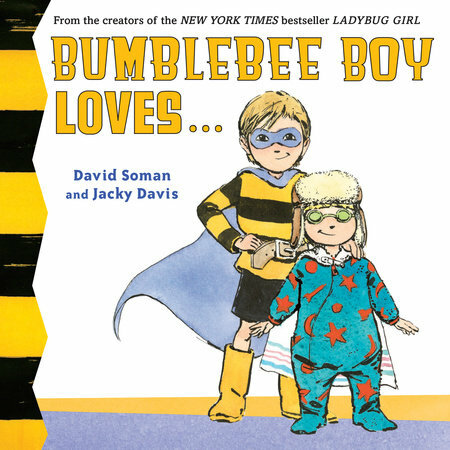 Bumblebee Boy is Ladybug Girl's best friend, Sam, and he loves SO many things. He loves driving the Beemobile and jumping high over a whole city. He loves to draw, and he knows he can save the whole world with his superhero skills. Most of all, Bumblebee Boy loves to share a book and a snuggle with his little brother, Owen. Adventure is never more than a blink away for Bumblebee Boy!